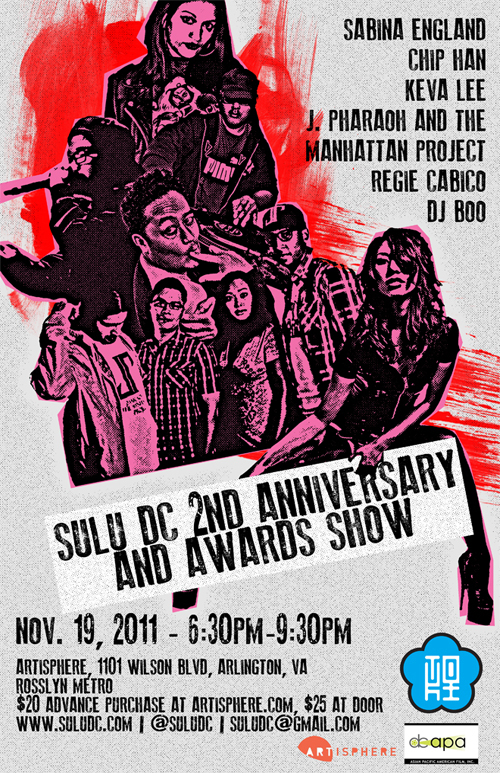 Our friends at Sulu DC (whom we profiled in LR Issue 2 and had the privilege of featuring on the blog last year through Simone Jacobson’s “Sulu Spotlight” column) are celebrating their second birthday this Saturday night (Nov 19th) with a special Anniversary and Awards show. The event, which will be held at 6:30 pm at Artisphere in Arlington, VA (at 1101 Wilson Blvd), will be hosted by Regie Cabico and will feature a screening of “Wedding Night” by deaf filmmaker Sabina England, as well as performances by Keva I. Lee, Chip Han, J Pharaoh & the Manhattan Project, and DJ Boo. The following awards will also be presented: Artist of the Year, Community Contribution, Community Partner, and the Sulu DC Audience, Star, and House Awards. Tickets are available online for $20. Congratulations to Sulu DC on two fabulous years of art, community-building, curation, and performance! If you live in Virginia or the DC Metro area, please do consider helping to support their work by checking out their show. W. Todd Kaneko's "Northwest Poem" on "As It Ought to Be"
marking that mythology we call home. crooked under the weight of a century. We love this poem (clearly) and are elated to see that others are enjoying it as much as we do. 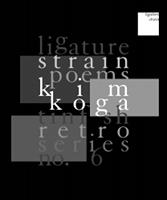 The “As It Ought to Be” editor writes of this poem, “Here’s to W. Todd Kaneko’s muse . . . She is a creature to be awed and honored.” We heartily agree. 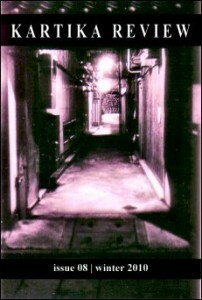 “Northwest Poem” by W. Todd Kaneko was first published in Issue 2 of Lantern Review. 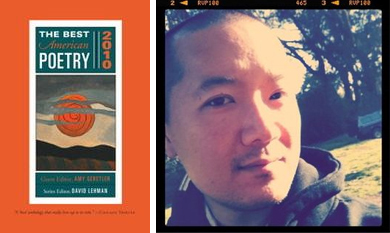 Kenji C. Liu hosts an APIA Month Series at The Best American Poetry Blog. 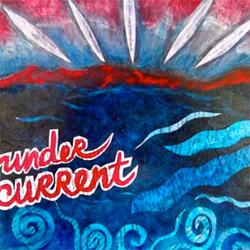 We usually don’t post on the weekend, but I’m posting today because we wanted to let you know about an awesome series that LR Contributor and Kartika Review poetry editor Kenji C. Liu is curating this week at The Best American Poetry Blog, in honor of APIA Heritage Month. 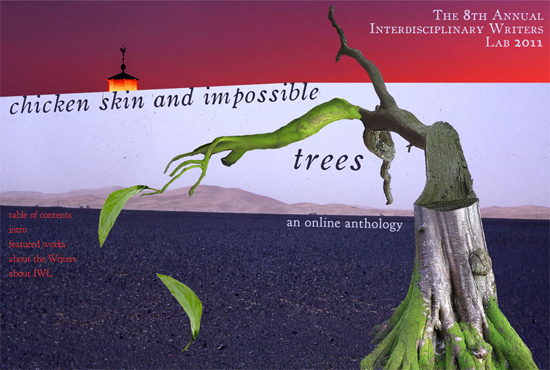 Kenji has invited me (Iris), along with 3 other editors and self-identified writers of Asian American poetry—Patricia Ikeda, Gerald Maa of AALR, and Barbara Jane Reyes—to contribute posts to the series, and it’s been both an honor and a pleasure to be able to work with him. Kenji kicked off the series today with this awesome introductory post, in which he discusses both the difficulty and the utility of curating poetry through the lens of the “Asian American” label, and describes his thoughts about the importance of the conversation that will take place throughout the week. (He plans to spotlight the work of several Asian American poets who have come to their vocations through alternative/non-standard/non-MFA routes). I’ll post to the LR blog again when my contribution, which will focus on dual-discipline LR contributors Aryanil Mukherjee (who’s an engineering mathematician) and Kimberly Alidio (whose graduate training is in History) goes live, but in the meantime, we invite you to continue checking back with the Best American Poetry Blog throughout the week to watch our discussion unfold. Congratulations to Kenji, and many thanks to him for allowing us to be a part of this important conversation. 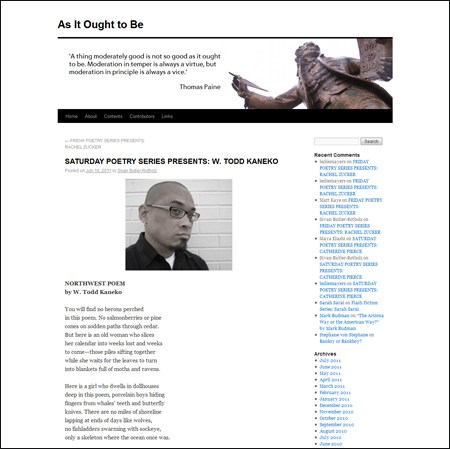 To follow the series, “A Week of Asian Pacific Islander American Poetry,” please visit The Best American Poetry Blog. Kenji C. Liu’s poem “A Son Writes Back” appeared in Issue 2 of Lantern Review. Our very own Monica Mody (who writes reviews for us) is having a splendid writing year, and we are very excited for her. We recently received word that her chapbook Travel & Risk (Wheelchair Party, 2010) is now available in free e-book form on the publisher’s web site. (It’s also available for purchase in a limited print run for $3, or with all three other Wheelchair Party Press titles for $9—an option which we highly recommend as well, since each Wheelchair Party chapbook is painstakingly hand-bound into a hand-screen-printed cover created by its publisher, CJ Waterman). Travel & Risk is rubbly on the tongue and lovely in the ear; a long poem that is almost surgically aligned into neat single columns on the page, and yet whose imagery—at times playfully, and at times ominously—shimmers wickedly in the corner of the mind’s eye, slides languidly out of the field of one’s vision, returns winking to adopt its most serious instructive guise, when all the while you know that it is running joyously, inexorably amuck behind the scenes. 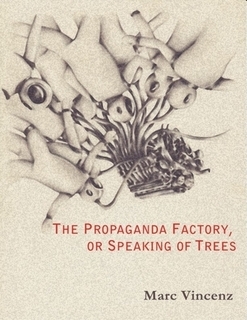 A read that we highly recommend. Monica’s work also recently appeared in the Boston Review, and her manuscript Kala Pani was just accepted for publication by 1913 Press, to be released next year. AALR is trying to raise $4000 by April 19th in order to help cover the cost of offering this unique literary experience. As with all Kickstarter projects, the organizers need to be able to raise the full amount in pledges in order to be funded, so we encourage you to consider contributing to 8+1 sooner rather than later. (Not to mention that, if the satisfaction of being a literary patron is not enough, there are some great thank-you rewards being offered to backers at various levels of sponsorship, ranging from event posters to autographed book copies, to AALR subscriptions, professional SAT tutoring, original artwork, documentary film copies, personal editorial consultations—even the chance to attend a private dinner with the Symposium participants). As we know from putting together even our little off-site AWP reading this winter, literary events (especially those of this scale) are not easily organized, let alone funded. AALR has been doing excellent curative work in its first year or so of existence, and we would love to see them have the opportunity to continue that work through events like 8+1. If you have even a dollar or two to spare, please do consider donating to this very worthwhile cause. We are a little behind on our news updates, but in case you have not already heard of this amazing project, here’s a little plug for “The 500 Project,” which is being co-sponsored by Bryan Thao Worra and our friends at Kartika Review. “Can’t we find, among all of those thousands, 10 individuals who are passionate about Asian American literature, writer activists who will express without equivocation that Asian American literature matters? To submit your profile, respond to the items in their short questionnaire, and email your answers to 500project [at] kartikareview (dot) com. Include the name of your state, and your own name, in the subject line. We at LR, of course, heartily encourage you to submit a profile. Take a stand for the importance of APIA lit, and represent your state! More on the history and inspiration behind The 500 Project can be found here, at Kartika Review‘s web site.